Belgium Schengen Short Stay Visa Requirements (C) – Stays between 1 and 90 days – e.g. Family visits, sightseeing, appointments professionals, or internships or short courses. 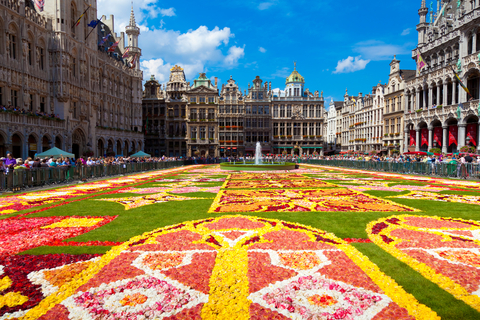 Belgium National Long Stay Visa Requirements (D) – Stays between 91 and 365 days – e.g. Family reunification, workers and students. Belgium has nice, easy-to-understand websites, but I found that the best consular information was on the French-speaking websites. Questions like how to get student visa for Belgium, how to get a work visa for Belgium, or how to get Permanent Residence for Belgium are answered pretty easily at the Consulate websites. For the official information on ALL types of visas and how to extend a particular type of visa in Belgium, be sure to check out this site at the Office Of Foreigners (l’Office des étrangers). The website is in French, but use Google Translate to change it to English if you don’t speak French. Belgium is a member of the Schengen Agreement, so Schengen visa rules will apply. How To Open a Bank Account in Belgium. How To Get an Electric Identity Card in Belgium. How To Register in Belgium as a Foreigner.